Traveling in a limousine is a luxurious experience, and passengers often feel that because they’re in such a large vehicle with a professional driver behind the wheel, there’s no way they could get into an accident. However, limousines are big vehicles that have a wide turn radius and a large blind spot. They can’t maneuver out of harm’s way as quickly as smaller vehicles, and oftentimes their size is one of the reasons why they are involved in accidents. That’s not to say that you shouldn’t treat yourself to a limo ride every once in a while, especially if you’re visiting a city as exciting as Las Vegas. Plenty of limo drivers and passengers are able to avoid injury, but to be safe, you should be aware of some of the common types of limo accidents and know what to do if you are involved in one. According to Lancer Insurance, a leading limousine insurance company, rear-end accidents are the most common type of accident limousines are involved in. Rear-enders account for slightly more than 1 in 4 limousine accidents. This is one of the more common accident types for all vehicles, but it can especially be an issue for limousines since the large, heavy vehicle cannot come to a stop as quickly as a smaller passenger car. If the driver is following the car in front of him too closely, or if he becomes distracted by a phone or GPS system, he may not be able to stop in time when the car in front starts braking. Lancer recommends that drivers of any stretch vehicles leave more following room than they would in a smaller vehicle to allow for greater stopping time. This is the next most common type of limo mishap, accounting for nearly 1 in 4 reported limousine accidents. As the name implies, a sideswipe occurs when the side of the limo hits a fixed object (such as a mailbox or utility pole), another car stopped in traffic, or even an oncoming car on a two-lane road. This type of accident may be caused by a novice limo driver who is not yet familiar with the size, the turn radius, or the blind spots of the vehicle. It’s up to limousine companies to thoroughly train their drivers and make sure they avoid these types of accidents. 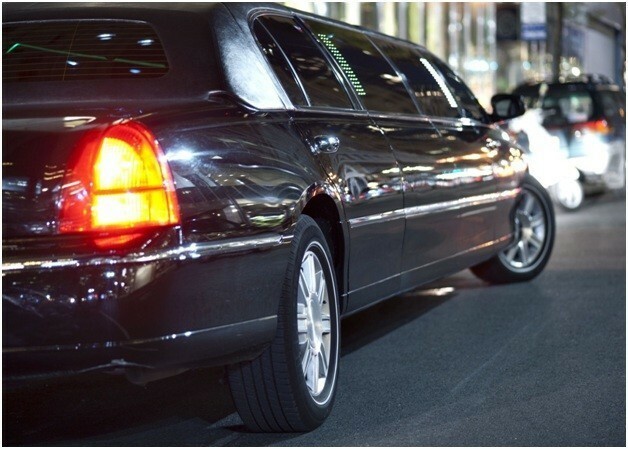 Parking lots can be difficult for limousines to navigate, and if the driver is not careful, he may end up swiping or even backing into a parked car. While this might not sound like a very common occurrence, it actually accounts for 13% of limousine accident claims. This type of accident usually does not cause serious injuries, given the low speed and lack of passengers in the parked cars, but it’s obviously still something that limousine drivers should try to avoid—for the sake of themselves, their passengers, and the cars around them. Commercial vehicles such as limousines require a special license to drive, and limo drivers should know and follow the road rules at all times, but unfortunately, even professional drivers can make errors when stressed or distracted. If your limo driver fails to perform a basic operation such as use the blinker to signal a lane change or merge before a lane ends, he may end up causing an accident. It is, of course, also possible for limos to be in multi-vehicle collisions when the other driver is at fault. Although getting into an accident is always an unfortunate event, the one upside of the situations described above is that they are usually low-impact. However, you should seek medical attention if you think there’s any chance you’ve suffered an injury. For example, if you hit your head when the driver slammed on the brakes, you may have experienced a head or neck injury without even realizing it. Getting medical attention should be your priority, but if your injuries are severe, you should also contact a limousine accident attorney as soon as possible. An experienced attorney should be able to help you determine who was at fault in the accident and ask that you be compensated for the cost of your medical care. The law firm of Lawlor Winston can help you get the compensation you deserve, whether the accident was the fault of the limo driver or another party.